Manufacturer : Silver Enchantments LLC - a U.S. Family-Owned Small Business -- US! 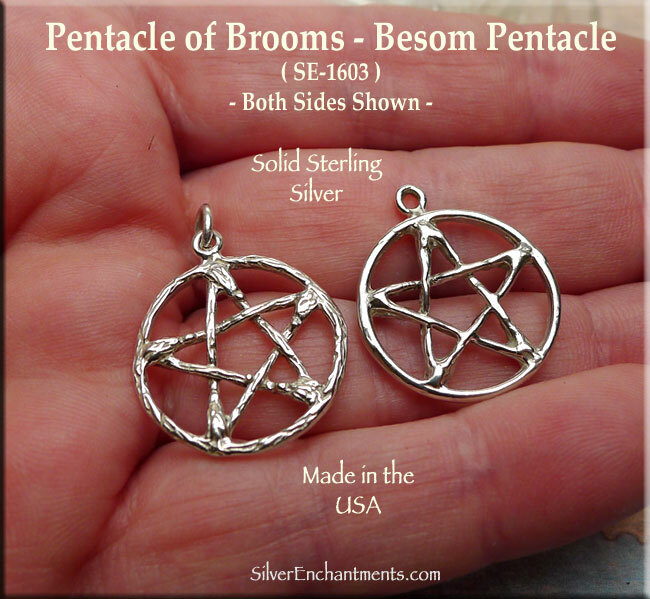 > You can Customize this Besom Pentacle into a Pentacle of Brooms Necklace -- Choose from Charm-Pendant Only or a 16" or 18" Solid Sterling Silver Necklace Chain (see last picture for chain style). 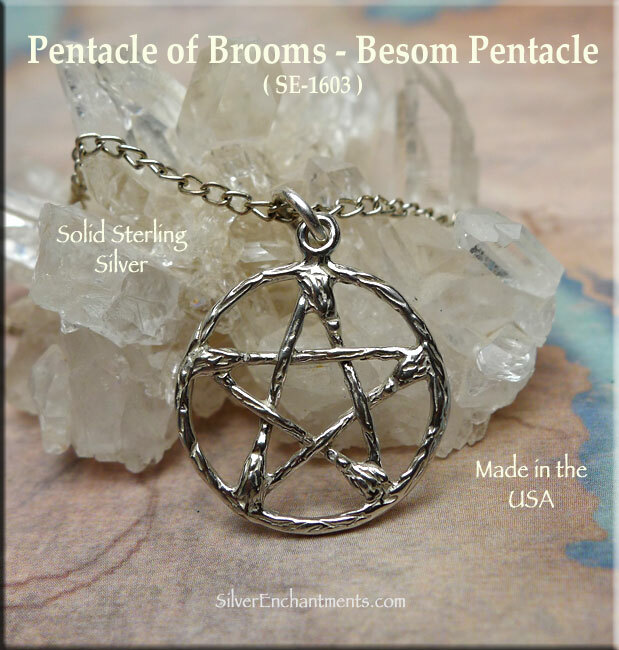 When selecting on SS Chain, Your Sterling Silver Broom Pentacle Necklace will come Boxed and Ready to Wear or Gift. 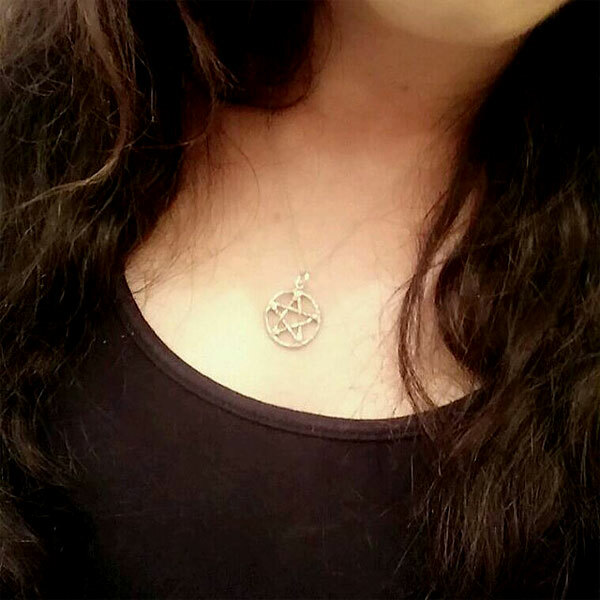 Each point of the Pentagram represents one of the five metaphysical elements of the ancients. The top point represents Spirit, the upper-left point represents Air, the upper-right point represents Water, the lower-left point represents Earth, and the lower-right point represents Fire. 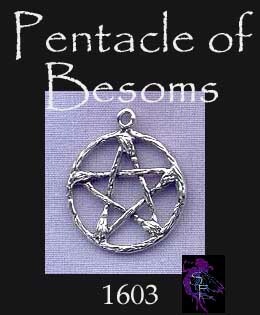 In this fashion, the pentagram represents Spirit ruling over the four elements.